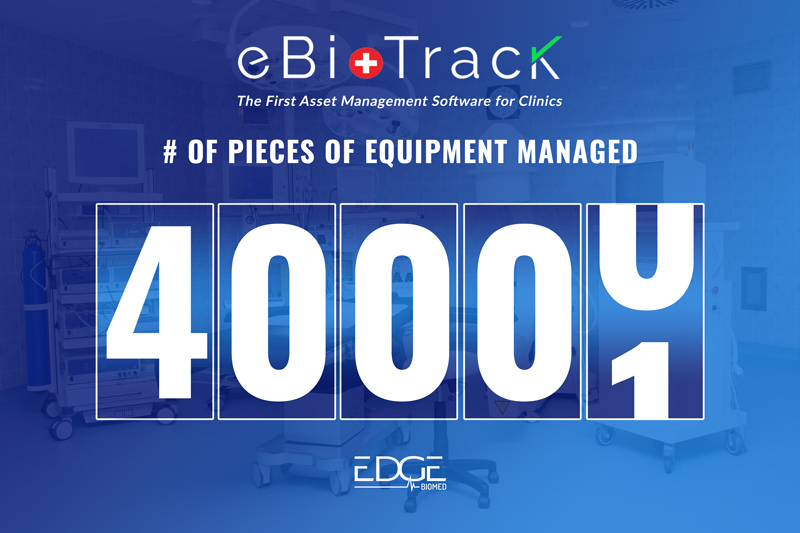 As Edge approaches the end of only its second year in business, we are proud to announce we now track, inspect and manage over 40,000 pieces of medical equipment. Edge’s unique blended offering of biomed services and asset management (through our proprietary software eBioTrack ) is trusted at over 1000 healthcare facilities to maintain compliance and organize equipment inspections and manage staff tasks. The journey to 40k has seen Edge expand from its initial two markets of Boston and Nashville to serving over 25 states. “One of the reasons for Edge’s quick rise in assets under management is our continued commitment to factory training. Our customers love having confidence that our tech’s not only attend a lot of OEM training classes, but also draw on the collective experience of our more than a dozen technicians,” says Sandi Bronte, Edge’s Director of Operations. We will continue to listen and respond to what our customers need. For example, Edge identified frequent service requests for all brands of sterilizers. Most practices rely heavily on their autoclave to create safe patient environments and minimize down time. It was because of this need that Edge has received factory training from several sterilizer manufacturers like Steris, Midmark, Tuttnauer and Scican. We look forward to serving more customers by opening more markets on our way to 100,000 assets under management. Edge Biomedical strives to be a national biomedical service solution to alternate markets, manufacturers and other health care providers using local biomed technicians and state-of-the-art software to assist in managing both equipment and people. Edge Biomedical knows that people and companies work with people they like. We value relationships and develop long-term bonds with our employees and customers by treating everyone with respect and doing what we promise. We want to be different and constantly look for ways to stand out by giving superior customer service and being the coolest biomedical company...ever! Edge Biomedical looks forward to hearing from you. Please reach out to us via phone, email or social media. Our goal is to earn your business for a lifetime. Copyright © 2018 Edge Biomed. All Rights Reserved.